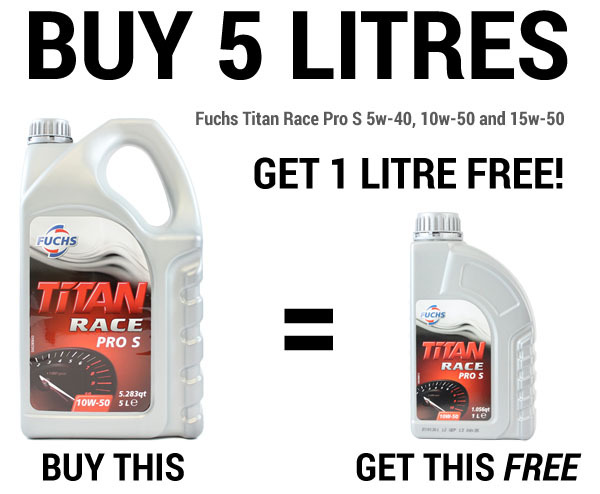 Re: Fuchs Titan Race - free litres! Just to let you know, this offer is still running, but only for a little while longer, as stock is going fast. With the Bank Holiday just round the corner, it might be an idea to get some on order asap so it's with you in time for a bit of Easter weekend servicing! To make you aware, couriers won't be operating on Friday 14th, Saturday 15th, Sunday 16th and Monday 17th.